Even though we know nothing of the Galaxy S4 yet, many have speculated on what Samsung could be brewing for their biggest smartphone. Flexible AMOLED screens that are nearly unbreakable have been talked about, and Samsung are known as one of the leading developers of that idea. Apart from completely new ideas that may not be around for some time, the Galaxy S4 may have a 16-core processor, 3GB’s of RAM, a PC style GPU, 500ppi display and huge battery life. Whether Samsung actually do try to make that huge push with the mobile, we are unsure, it may cost a lot for a 16-core processor. Samsung do seem to be leading the industry right now, with Apple stepping back on the iPhone 5. The Samsung Galaxy S3 brought an incredible phone, brilliant software and impressive performance and now the world is expecting great things from the Korean mobile giant. With that leadership, expectations will be higher. A new rumor is out saying that Samsung will be bringing the Galaxy S4 out when Key Lime Pie is almost ready to release. Neither Samsung nor Google have talked about the new OS, but Google have just released Jelly Bean 4.2, so it may be a little early for another full blast of Android. Key Lime Pie is Android 5.0, the next big upgrade from Ice Cream Sandwich/Jelly Bean. Early rumors say that the update will have more personalized features and streamlined Google services. Google will be pushing all Android users to have an active Google account and connect it with all their services. We suspect that Google will launch Key Lime Pie in the summer or maybe in October, depending on what they are adding in the update and how long these designs take. With a company like Google, we suspect it will come early rather than late. The Nexus 4 only recently came out; Google may want to keep up with the idea of one Nexus device per year. That idea gives Samsung the opportunity to flagship Key Lime Pie and have another quality feature that no other Android provider has. 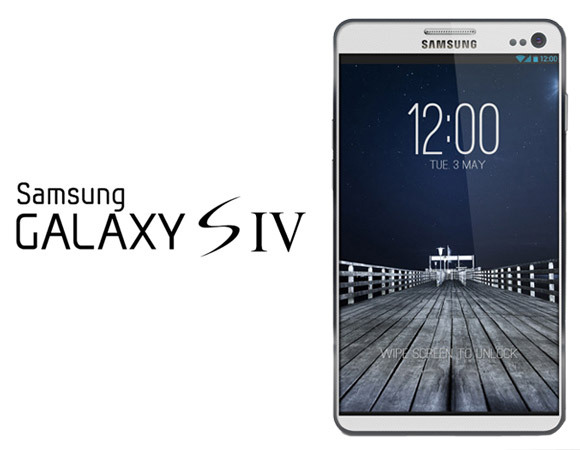 Whether the Galaxy S4 is released at CES 2013 or at Samsung’s own private show sometime in 2013, we are unsure. We suspect that it will be a huge success, just like the previous Galaxy S.